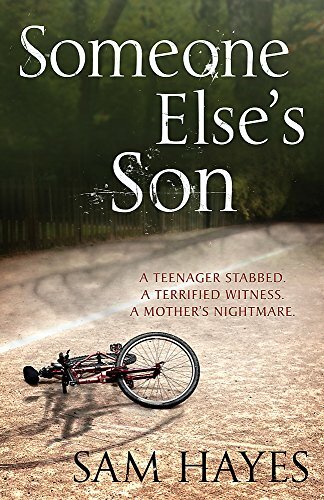 A tense and powerful emotional thriller that asks: Do we ever really know our children? There must have been some mistake... TV presenter Carrie Kent can't believe the voice on the end of the phone. Surely it didn't just say that her son - her beloved son Max - has been stabbed within his school gates? This sort of thing happens only to the guests on her daily morning chat show. Not to someone like her boy. But when Carrie arrives at the hospital and learns that Max is dead, she is thrown into a nightmare. No one will reveal what really happened and the only witness, a schoolgirl, is refusing to talk. Carrie must enter an unknown world of fear and violence if she wants to find the truth. But can she live with what she discovers? Sam Hayes grew up in the Midlands but has also lived in Australia and America. She now lives in Warwickshire with her husband and three children. She is a full-time writer.